Ms. Firicano received her formal ballet training at the Boston School of Ballet under a full scholarship. She began her professional career in 1984 with the Tennessee Festival Ballet, under the directorship of Anne-Marie Holmes. She went on to become a principal dancer with The Berkshire Ballet, the Southwest Ballet, and Ballet Arizona. Her repertoire includes the leading roles of Giselle, Juliet, Cinderella, Swanhilda, and the Sugarplum Fairy. In addition her repertoire includes a wide range of contemporary and Balanchine pieces. Gia retired in 2003 after 13 years of performing with Ballet Arizona. She has been an instructor with The School of Ballet Arizona, Phoenix Dance Academy, and The Plumb Performing Arts Academy. In 2004, she joined the Arts faculty at Arizona School for the Arts. In the summer of 2010, she attended and achieved certification for levels primary through level three in American Ballet Theatre’s Teacher Training Intensive. 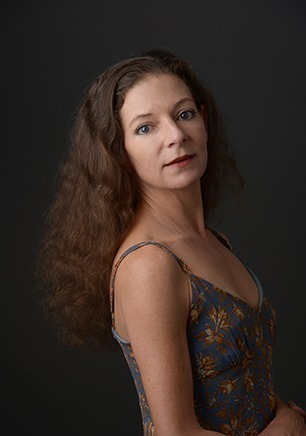 She is currently in her 8th year as the Program Manager of the Ballet Program at Arizona School for the Arts. This is Ms. Firicanos’s eleventh year teaching at The School of Ballet Arizona.